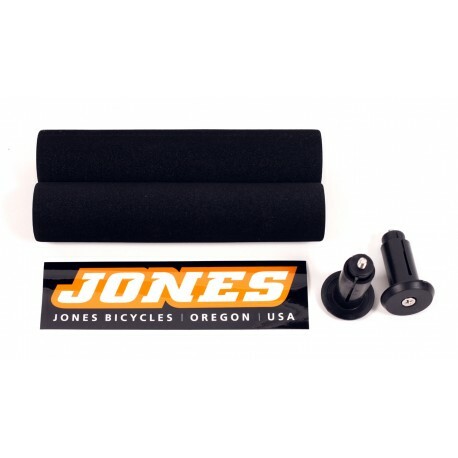 The new Jones H-Grips are made especially to fit the two widths of Jones H-bars. Made of EVA foam, they are very light. The grips can be used, and will work fine with the bar plugs that come in the H-Bars, but we wanted to include larger, more protective bar plugs with our grips, so that your grips won't get torn up as easily, and that's what these grips come with. 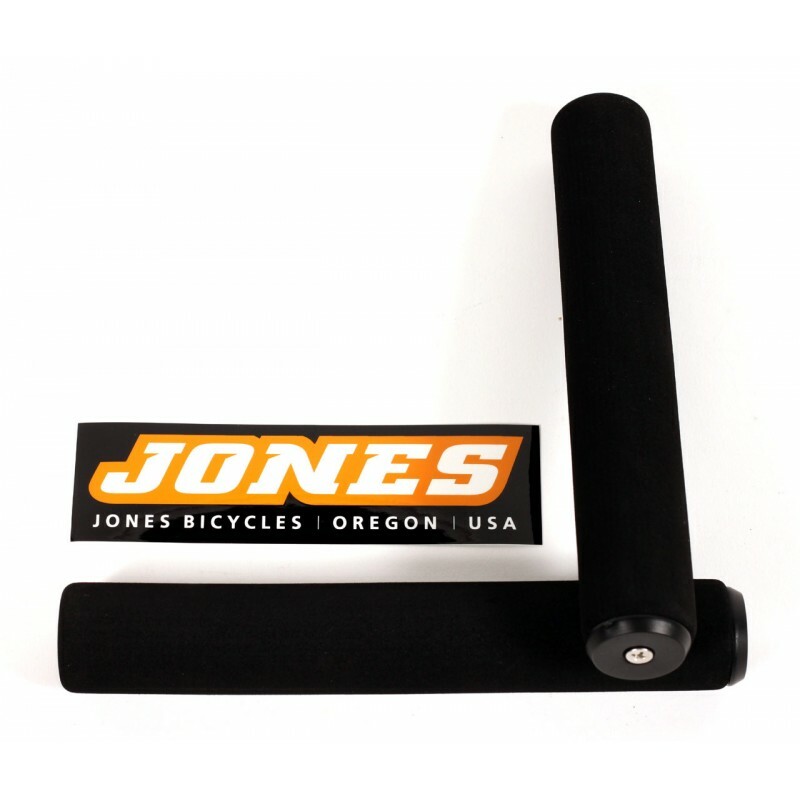 Jeff also made sure the details are just so: the ends of the grips are beveled to meet the angle of the bar plug, so that the plug can protect the end of the grip better, which is really important when you're laying the bike down on its side. The bar plugs themselves have a captured nut in the wedge so that when you loosen the bolt to remove the grips, the nut stays in place and the plug comes right out! And now both the nut and the bolt that threads into it are stainless steel to resist rust! 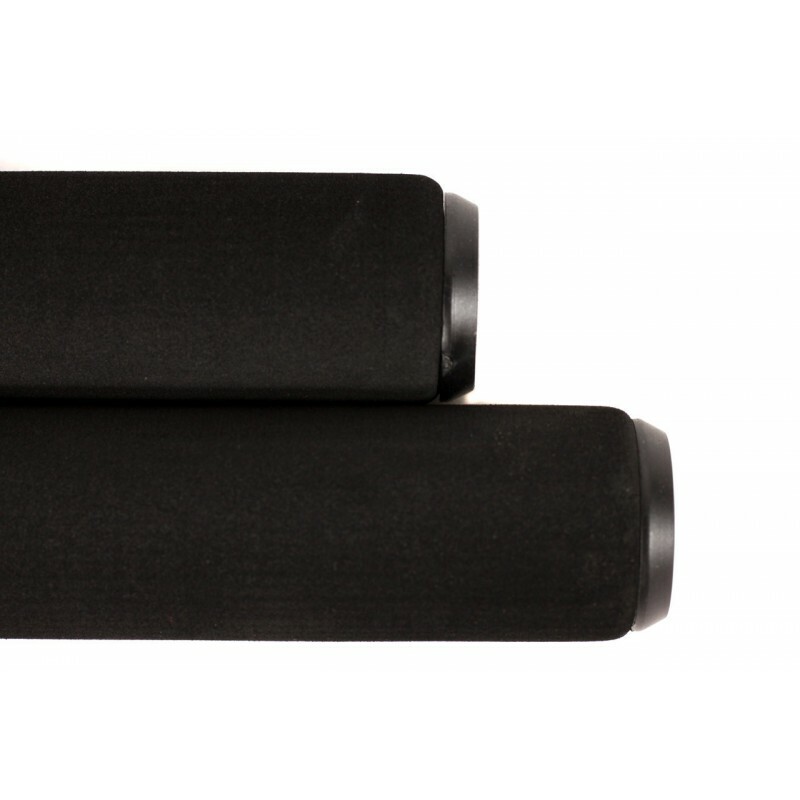 The longest versions (for 710mm H-Bars) of the grips grips with their bar plugs weigh about 75 grams (2.65 ounces), with the grips accounting for about 46 (1.59 ounces) grams of that, and the plugs bringing up the other 29 grams (1.02 ounces), which makes them about 74 grams (2.61 ounces) lighter than comparable ESI 8.25" Extra Chunky grips, grip to grip (no bar plugs).